The Lights got only two points from their season series with Tulsa Roughnecks FC, the team with the least points in the United Soccer League. Samuel Ochoa marcó 2 de los 4 goles que consiguió Lights FC. Sábado 16 de junio de 2018 en estadio Cashman. Foto Richard Brian / Las Vegas Review-Journal. Samuel Ochoa and the Lights FC can’t win when it comes to penalty kicks. Six days after a failed trick play cost the Lights a draw, the team left more points at the penalty spot Saturday in Tulsa, Oklahoma, by doing things the conventional way. Ochoa shot his kick high in the 62nd minute and the club drew 2-2 with Tulsa Roughnecks FC, which is tied for last in the United Soccer League’s Western Conference. Ochoa also took the shot when the Lights (4-6-5) eschewed a traditional penalty kick for a set play down 3-2 at the Swope Park Rangers on June 24. But he clanked it off the post. 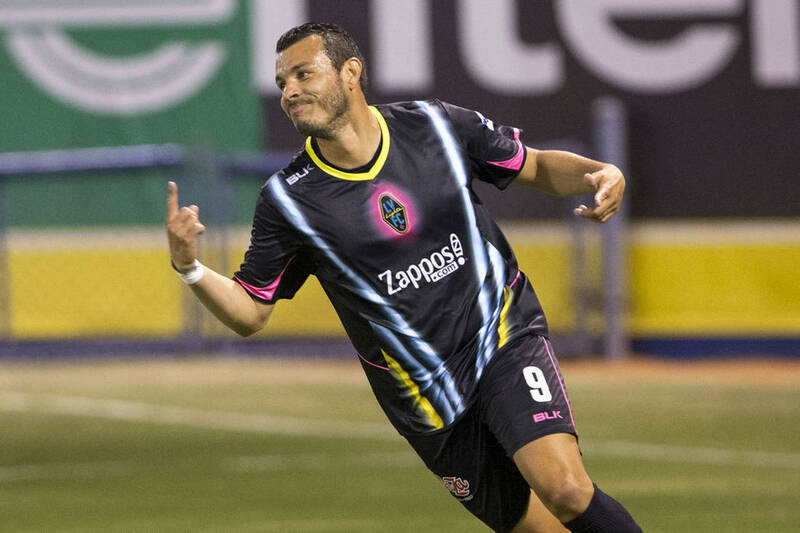 The forward got another chance Saturday with his team up 2-1 thanks to a hand ball by Roughnecks defender Nemanja Vukovic, but rather than breaking things open he fired high, over the net. Tulsa (1-8-8) equalized a minute later when Vukovic fired a free kick that bounced off defender John Morton’s head and into the net. The goal ensured the teams would tie for the second time, giving the Lights only two points in their season series against a club with the worst goal differential in the USL at minus-21. The Lights have 17 points in 15 games, and Sanchez wants at least 50 points to ensure a playoff spot. “We need to win 11 times, we need 11 (more) wins,” he said. The penalty spot loomed large throughout, as Ochoa’s kick was one of three awarded in the match. 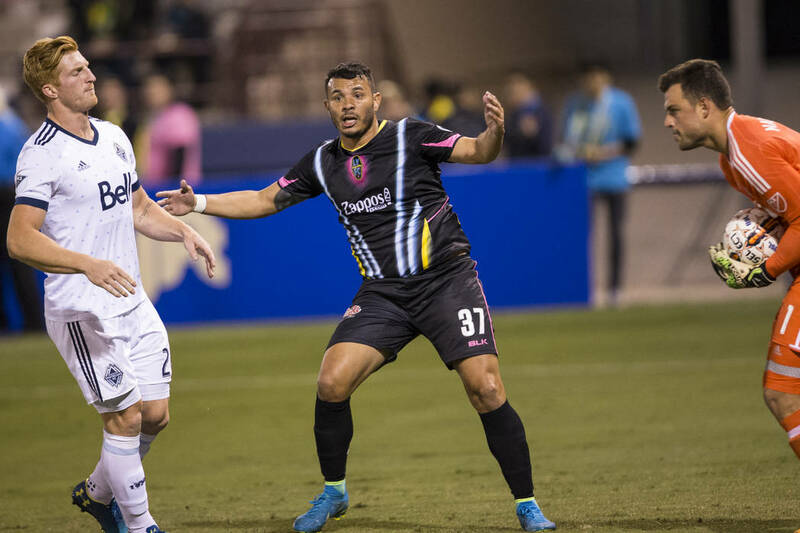 The first came when Lights midfielder Eric Avila was called for a hand ball in the third minute, and Las Vegas native Joaquin Rivas converted for the Roughnecks for a 1-0 lead. After Lights forward Raul Mendiola equalized in the 34th minute and the two teams waited out a 45-minute halftime weather delay, Ochoa earned the game’s second penalty after getting fouled by Tulsa goalkeeper Fabian Cerda. Midfielder Daigo Kobayashi took the kick in the 49th minute, and he scored his fourth goal, giving the Lights the lead. Sanchez did not give Kobayashi a second penalty try though, giving the 62nd-minute kick to Ochoa instead. When the striker’s shot went awry so did the Lights’ best chance of winning, though they did get their first road result since April 30.